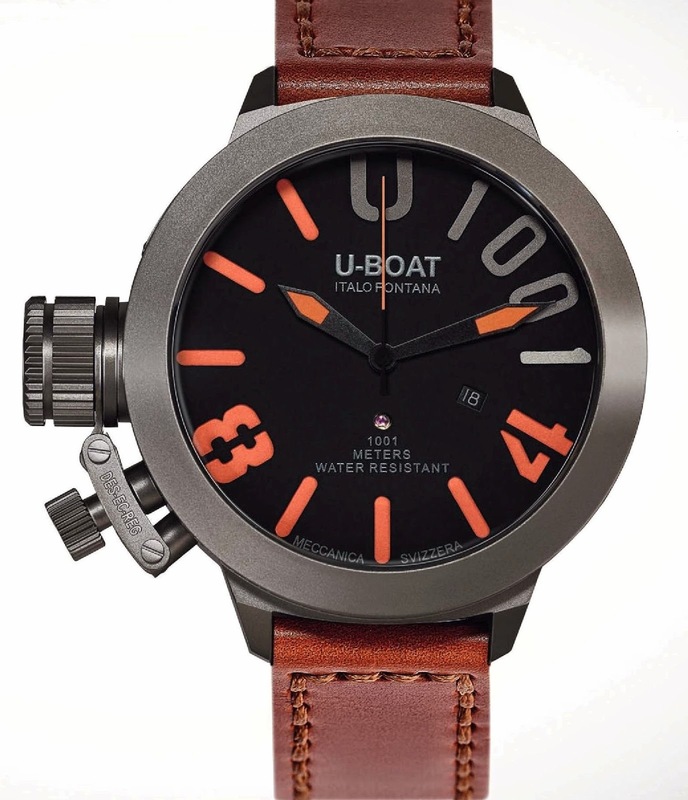 Specially designed for professional divers, the U-1001 CLASSICO collection from U Boat offers two limited edition timepieces: U-1001 CLASSICO 47 (Ref. 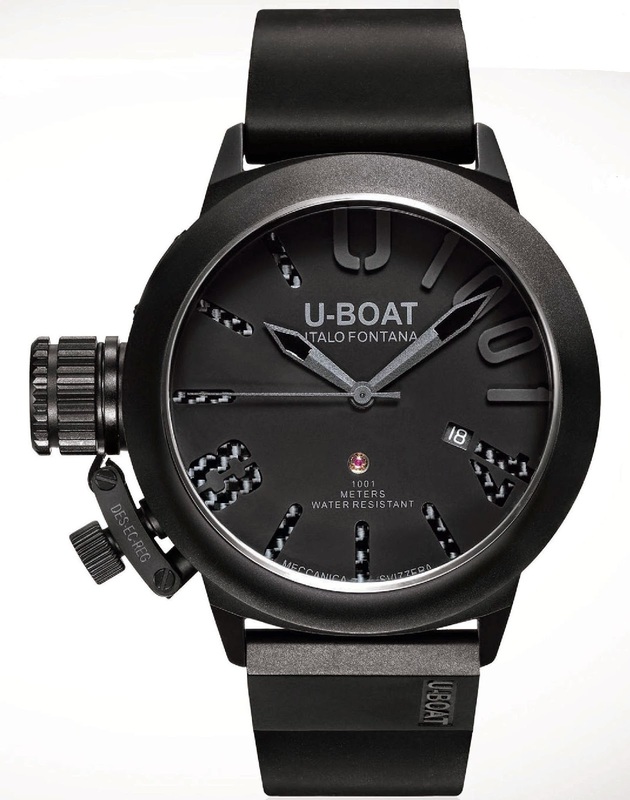 6949) and U-1001 CLASSICO 55 (Ref. 5868). 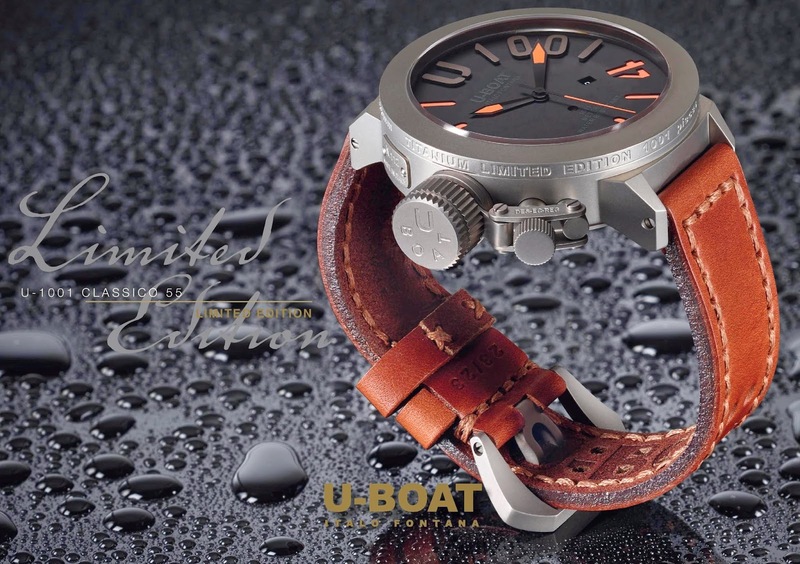 Both versions are equipped with automatic mechanical movements modified and personalized to U-Boat specifications for stem position at 9 o’clock. Produced in limited edition of 300 pieces, the U-1001 CLASSICO 47 (Ref. 6949) comes in a solid stainless Steel case measuring 47 mm and treated with subsequent IPB coating. Its crown is positioned on the left side of the case, with a special protective device and helium escape valve. Serial number is engraved on a steel plate set on the left hand side of the case. The screwed in caseback has serial numbering engraved in bas-relief. The U-1001 CLASSICO 47 is fitted with a scratchproof sapphire crystal glass. This diving timepiece is water resistant up to 1001 meters. This timepiece boasts two superimposed dials, one in carbon fiber and the other one cut, treated with composed opaque black pigments. A date window is visible at 4’o clock. Caseback: screwed in, serial numbering engraved in bas-relief. Two superimposed dials, one in carbon fiber and the other one cut, treated with composed opaque black pigments. Produced in limited edition of timepieces of 1001 pieces in Grade 2 natural titanium the U-1001 CLASSICO 55 model boasts a distinguishing crown on left side, with a special protective device and helium escape valve. The serial number is engraved on a titanium plate set on the left hand side of the case. Measuring 55 mm in diameter, the CLASSICO 55 model offers a water resistance up to 1001 meters. 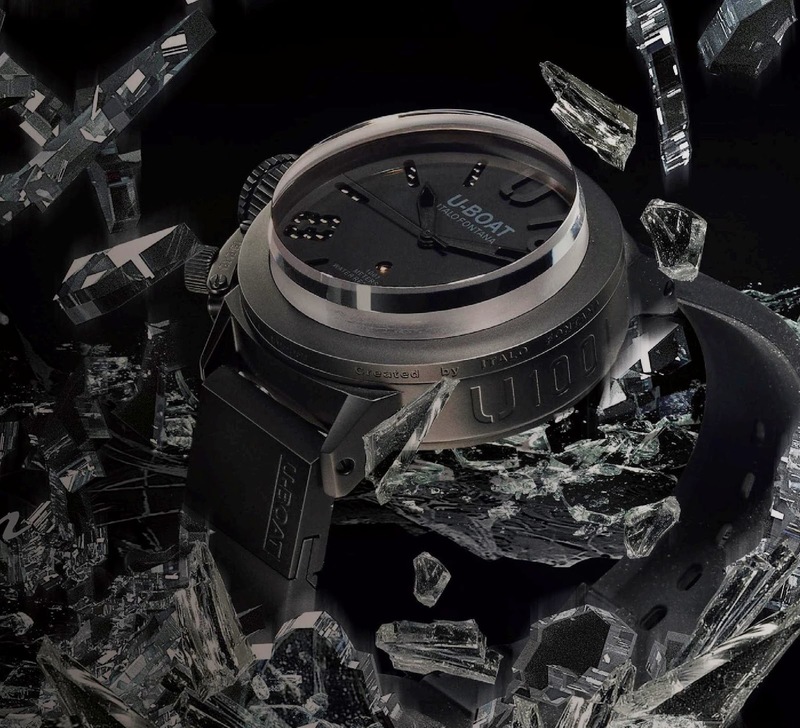 Other features include sapphire crystal glass and screw in caseback. Caseback: screwed in, limited edition 1001 units, serial numbering engraved in bas-relief. Crystal: high quality sapphire, scratchproof, 5,50 mm thick. Water resistance: 1001 meters, 100 ATM.